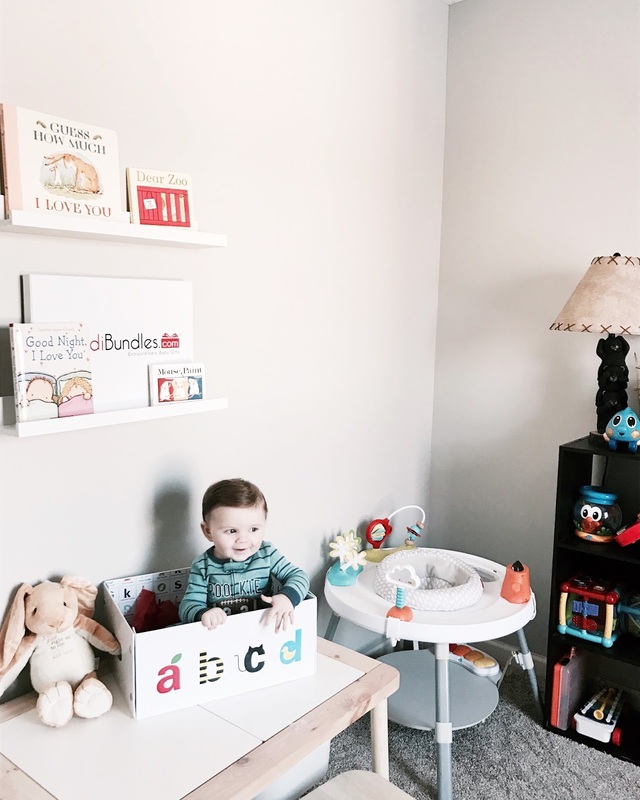 This little guy is loving his IncrediBundles package! 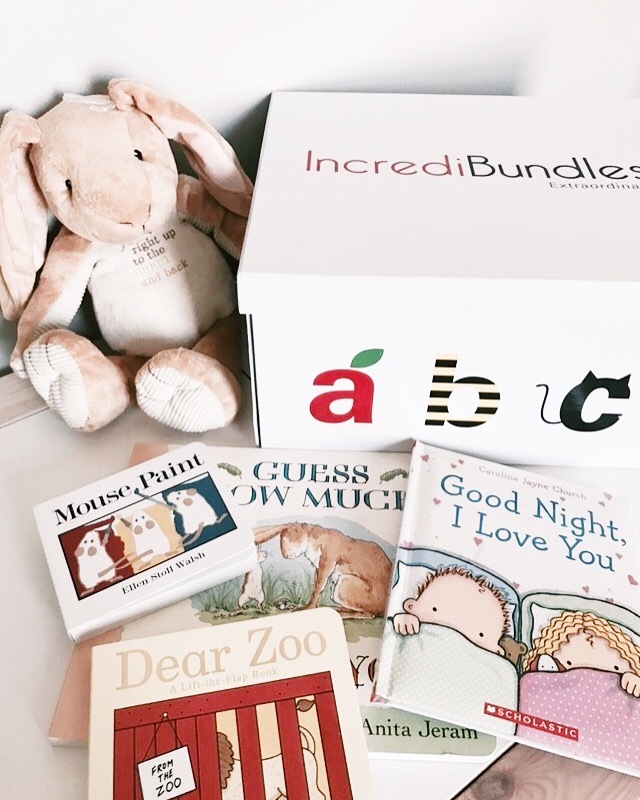 If you haven't heard of IncrediBundles it's a brilliant company that makes gift giving simple & chic! 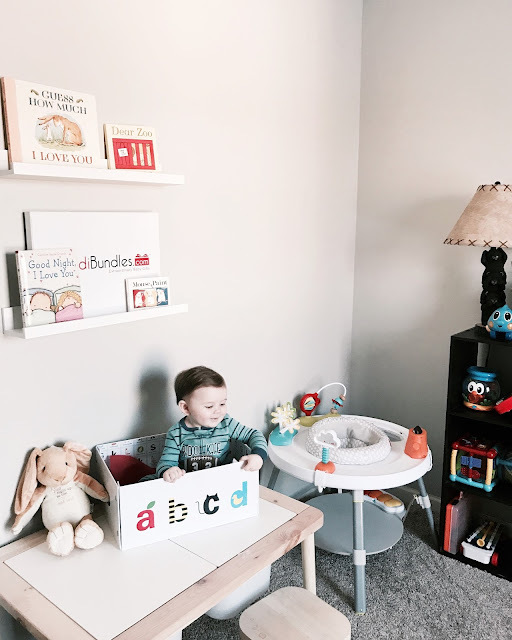 Their company makes awesome bundles that are great for first time moms and babies. They have so many bundles to choose from too. 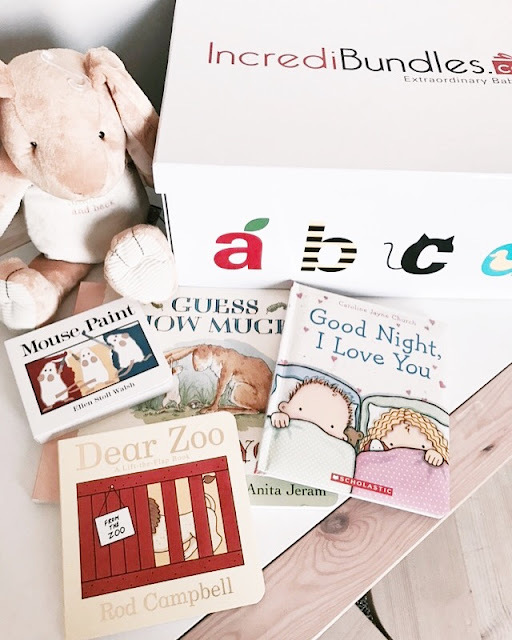 You can choose from book bundles (like ours,) toys, diapers, sleep, bath, organic items or even create your own custom bundle! They take the best, award-winning products for babies and bundle them together. Their adorable, reusable storage containers add the perfect, finishing touch. We chose the book bundle and it included four books and the cutest bunny! We have been reading the books on repeat. Liam loves them just as much as Logan. Buying gifts for children can be overwhelming! IncrediBundles just makes it way too easy and fun. These bundles will definitely be my go-to baby shower gift from now on! Here are a few of my favorite bundle deals for you guys to check out! Today on my Instagram I'm hosting an IncrediBundles Giveaway!! Head over there to ENTER to win a $50 gift certificate!